When you are preparing to select a land surveying firm, it’s important to consider any unique requirements of the project. 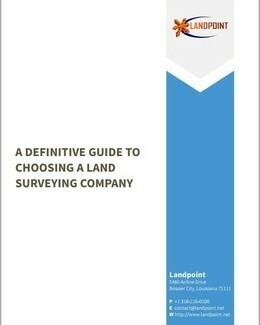 When it comes to selecting a land surveying firm, companies have more choices today than ever before. Rapid growth in a number of industries has led to a significant increase construction projects, resulting in many new players in the land surveying space. Chad is the Vice President and a part owner of Landpoint. Over the past 6 years he has helped develop the firm into an award winning company with a focus on Oil and Gas pipeline and infrastructure development utilizing advanced technologies. Once you’ve considered everything and made a decision about which firm to work with, it’s important to keep track of how things are going. Once you’ve considered all project requirements, you can feel confident about evaluating your options to find the land surveying company that best meets those requirements.